It’s that time of year again. New Android version, new guessing and then waiting game for which phones will get the update and, just as importantly, when. Things have gotten better over the years, in no small part thanks to high-profile security scares and Apple gloating, but it’s far from being ideal. Ideally, that would be when lists like this will be superfluous. But until that glorious day, here are some of the smartphone makers who have gone public about their love for Pie and those that have been unsurprisingly yet annoyingly silent for the past weeks. Just for the sake of being complete, if you have a Google Pixel, Pixel XL, Pixel 2, or Pixel 2 XL, what are you standing around for? You’ve got dibs on the update from Day One. Go forth and enjoy your more intelligent and more swipe-y Android Pie! Essential has given us yet another reason to mourn the Android Community’s loss. There have been very few, if not none, who have been able to provide updates to at least one device on the day of Android’s public release. Granted, the Essential PH-1 was one of the chosen few to participate in Android P betas but, as we’ll see, it’s not a guarantee. The Android faithful can at least take comfort in HMD Global’s so far impressive track record of keeping true to its word and pushing out regular updates. The Nokia 7 Plus was part of the Android P beta club but its entire range, including the Nokia 3, 5, 6, and 8, will get equal treatment. With the promise to put Android One and Android Go on its phones, that should be the same for future models. Hopefully, it doesn’t change its culture or its mind. While OnePlus can’t boast of the same flawless history, you can at least see it tries its best. After participating in the Beta, the startup is now working to bring the final Android Pie version to the OnePlus 6. In a recent forum post, the company practically promised the update for the OnePlus 5/5T and the OnePlus 3/3T, the latter reaching its end of life this November. Don’t be surprised, though, if it gets distracted by an upcoming OnePlus 6T launch. While the Sony Xperia XZ2 was one of the chosen few for the beta testing program, the company has yet to make any noticeable movement in bringing the final version to the smartphone. That said, a report claims that Sony is already working on the update for the Xperia XZ2 Compact, Xperia XZ2 Premium, Xperia XZ1, Xperia XZ1 Compact, and Xperia XZ Premium. It’s not leaving its fans empty-handed though. 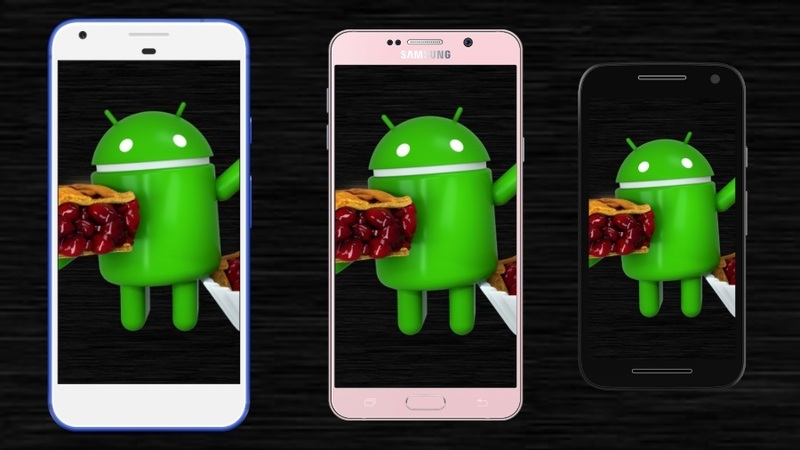 It has actually just made a guide available for installing Android Pie on smartphones belonging to its open program so others can bring third-party ROMs up to snuff in the meantime. Just because they became part of that same Android P beta doesn’t immediately translate to quick and guaranteed updates. For the first time, the big Chinese OEMs have taken part in the Android update craze but there is still no news when the Xiaomi Mi Mix 2S, the OPPO R15 Pro, and the Vivo X21 will get their Pies. Worse, there is not even a whisper about their other current models, except perhaps for the Android One Xiaomi Mi A1 and Mi A2 phones. It didn’t get into the beta, but HTC is more than happy to let its fans know it has turned over a new leaf. It has said over on Twitter that it will be bringing Android Pie to the HTC U12+, U11+, U11, and U11 Life (Android One). The question, however, is when and HTC is only saying “in due time”. Huawei is on a crusade to improve its image in the smartphone market, from mobile photography to sales numbers to software quality. It has a chance to do so with the Android 9 Pie update that it says will be coming to the Huawei P20 (of course), the Huawei Mate 10 Pro, the Honor 10 and the Honor V10. The OEM is already testing the Android update so it should happen hopefully within this year. Oddly no mention of the Huawei P10. You know who else is just now starting the journey towards Android Pie? Motorola, that’s who. Once a Google property, the old Motorola prided itself for bloat-free software and fast updates. How the might have fallen. It is still mind-boggling why Motorola is only now “working on the new code” for unspecified devices, given OEM partners would have had that code even before the public release. It will probably take a miracle to see Android 9 coming to the Moto Z3 this year, never mind the other phones from the past two years. There are no miracles in Samsung land, though. 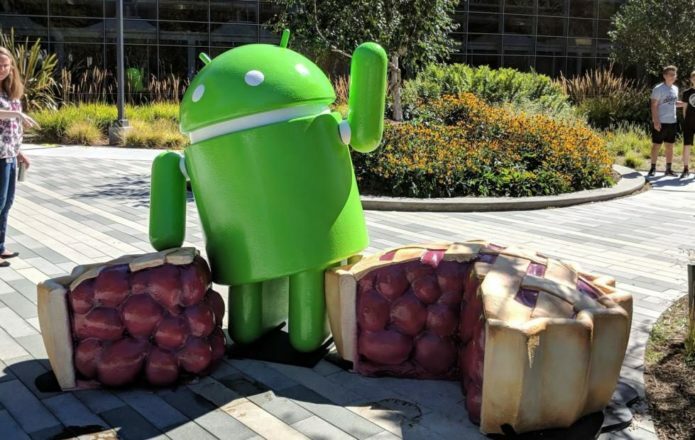 The OEM is completely and utterly silent and the rumor mill has stopped turning as far as Android Pie updates are concerned. OK, Samsung is probably too busy with the Galaxy Note 9 launch which, by the way, isn’t running Android 9 Pie out of the box. Given it will only start its rollout of Android Oreo for its mid-range next year, who knows when the Pie will arrive. LG has caught up to its compatriot but not in a good way. Like Motorola, it was once the pride and glory of the Android world. The 2016 LG V20 only got update to Android Oreo last month. LG might come out with the LG V40 in a few weeks and boast about how it’s the first new Android smartphone to come with Android Pie out of the box. It loves doing that. It loves updating old phones less. BlackBerry is a bit of a mystery. On the one hand, it is one of the few that roll out monthly security updates as soon as Google makes them available. On the other hand, it isn’t as fast as updating phones to new Android versions. There’s a BlackBerry KE2 LE launch coming up, which could explain TCL and BlackBerry’s silence. But the atmosphere in BlackBerry forums aren’t at all hopeful. As always, the update situation on Android is all over the place. The beta program that included a few OEM smartphones but only half of those have so far born any fruit. Some companies haven’t changed their ways at all and a few have become even worse. With many of this year’s phones running Android Oreo from the start, however, the narrative could change soon. Android Pie and Android Q will be the true test of whether Project Treble’s promise actually holds water or if it was just wishful thinking.